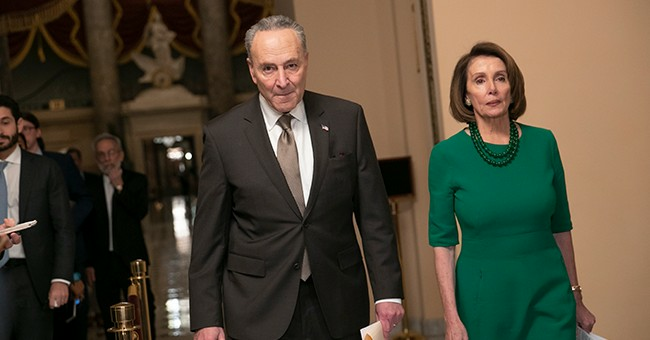 The recent partial federal government shutdown has the liberal media predictably helping Congressional Democrats control the narrative and thus influencing public opinion to force President Trump to abandon his demand for $5.7 billion for border security that includes a wall along the southern U.S. border. Is anybody surprised by the liberal media’s behavior? Recent news reports by CNN, the New York Times, the Washington Post and others include exploitative sob stories about non-essential federal employees who are not being paid while the debate between the White House and Congress rages on. This brings to mind the self-interest of government employees. Their plight is to play on the emotions of the private sector reader or viewer. They won’t find too much sympathy there. The private sector worker knows all too well about losing their job or being laid off due to companies going out of business, moving operations overseas for economic reasons, or when the economy slows down. Where is their relief? Who in the government sector gives a damn about the private sector worker at their times of adversity? Where was the cheerleading media when President Obama’s failed economic policies led to rising unemployment claims, record food stamp applications and home foreclosures due to a slumping private sector economy? How many federal employees lost their jobs or were laid off during the recession of 2007? None. According to the Office of Personnel Management, California has the most federal employees followed by Virginia and the District of Columbia. Those states didn’t vote for Donald Trump in 2016. In fact, the majority of federal workers voted for Obama twice, and traditionally votes Democrat. Their argument should be with Speaker Nancy Pelosi and Senate Minority Leader Chuck Schumer who could have avoided this partial shutdown and who could end it tomorrow if they are not so dug in about denying Trump a political win. Instead, it was reported that some federal employees protested outside the White House. That is misdirected anger. It is interesting to note that neither Pelosi nor Schumer has offered to forgo paychecks during the partial shutdown. The private sector worker constantly lives in a more uncertain world. Profits and low business taxes determine their continued employment. Federal employees are immune from layoffs and job losses. During a labor impasse and resulting strike, private sector workers rarely get back pay for days not worked or if the company imposes a lockout. Federal employees are unaffected and continue to get pay raises and generous benefits package including pensions even in a slow-growth economy and with a $21 trillion national debt and rising budget deficits. What private sector business gets to operate like this? Several other observations need to be made. We are in a robust jobs economy due in part to President Trump’s economic policies of lower taxes and removing stifling government regulations. A Wall Street Journal column by Eric Morath points out that there are over seven million job openings in the private sector, a record high number dating back to 2000. The story shows that available jobs outnumber Americas looking for work. One economist was quoted as saying, “Employers are still looking to add workers, and the pool of potential hires continues to decline.” I will suggest that an ambitious and motivated furloughed federal employee would take advantage of this job-rich environment instead of sitting around whining about the unfairness of the government shutdown on their household budget. Many are no doubt living paycheck to paycheck and some over their means. It is not the responsibility of the U.S. taxpayer because of a federal worker’s lack of responsible household budgeting to pressure Congress to settle the budget impasse at the expense of national security along our southern border. Those households where both spouses are federal employees should look at this shutdown as an opportunity to reexamine the wisdom of that. If one of the wage earners was in the private sector today, they could weather the storm during shutdowns. A Time magazine story epitomizes the mindset of one such federal government worker who put it this way. “Right now it feels like indentured servitude,” the employee said. “We just want the shutdown to end, for employees to be paid retroactively and for some provisions to be put into place where federal employees will not have to work without a paycheck,” said the federal worker who has been passing his time off during the furlough doing puzzles and volunteering. He says the third week marks the first time he’s felt real fear over his future. Welcome to the world of the private sector worker pal. It also makes me wonder if he is calling federal work indentured servitude or volunteering. Recently the GOP controlled Senate passed a bill assuring that furloughed federal employees will be paid for time not worked during the partial shutdown, the same employees who do not and will not vote for them in future elections. Why does the GOP continue to sign their death warrant? With over two million federal employees, our government has gone from being a provider of necessary services to an employment agency. They don’t produce profits and are grossly inefficient, leading taxpayers to fork over more of their hard-earned money to support their great pay, benefits and pensions keeping the world of the federal worker constant. Time for this to change. Here is the opportunity. Sheriff David A. Clarke Jr. is former Sheriff of Milwaukee County, Wisconsin, President of America’s Sheriff LLC, author of Cop Under Fire: Beyond Hashtags of Race Crime and Politics for a Better America and Senior Advisor for America FIRST PAC/Policies. Visit www.Americassheriff.com for more.